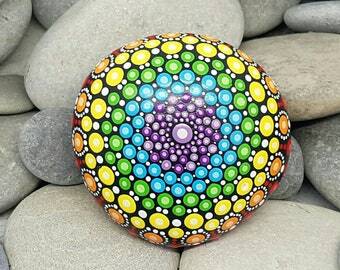 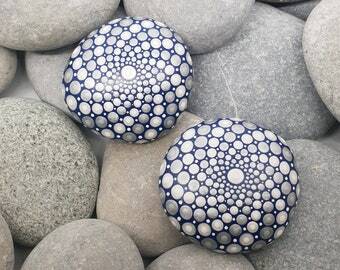 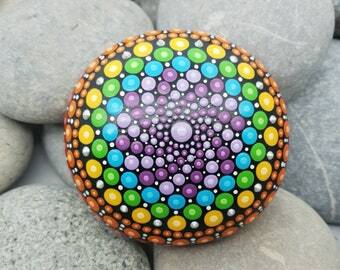 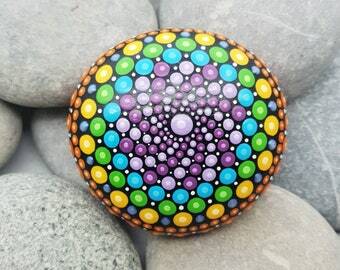 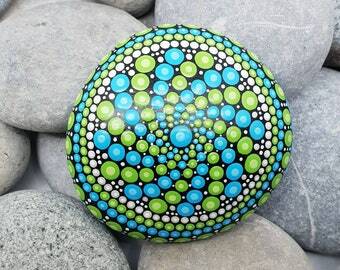 This chakra hand-painted mandala rock is natural from the beaches of the French Riviera. 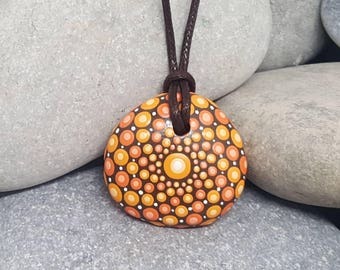 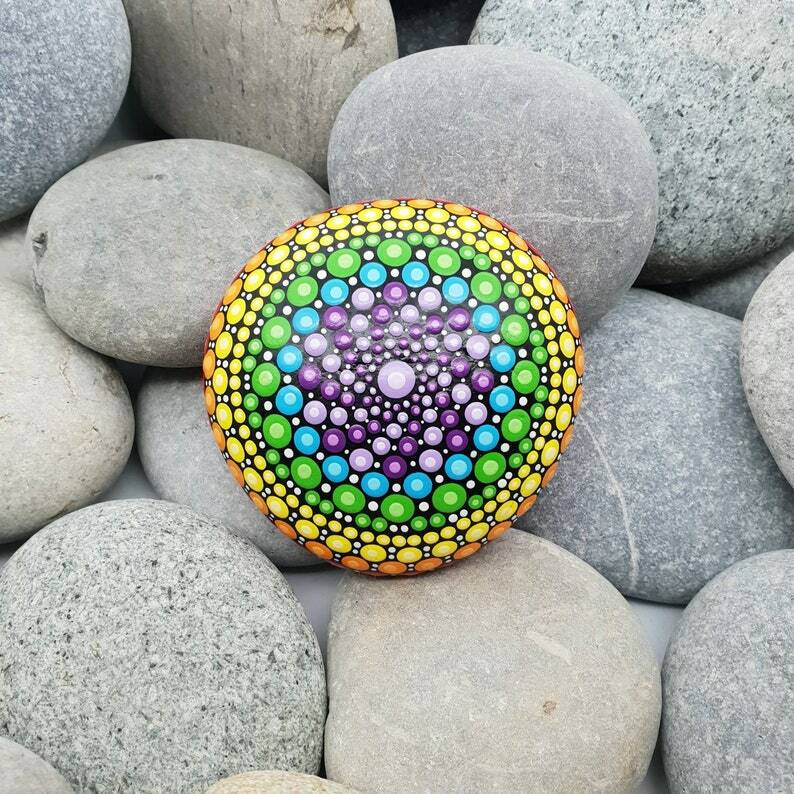 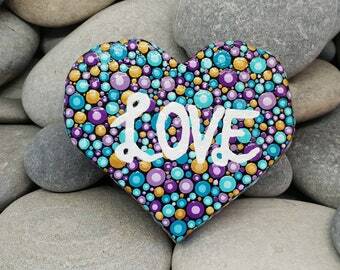 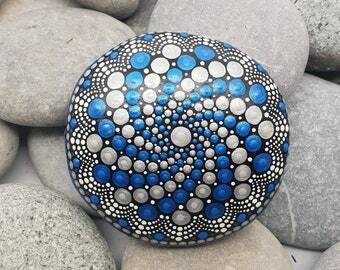 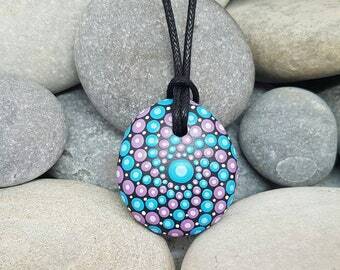 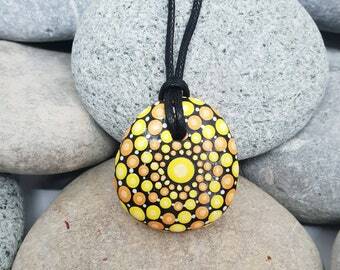 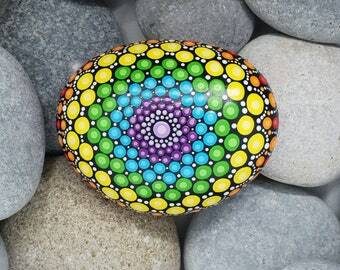 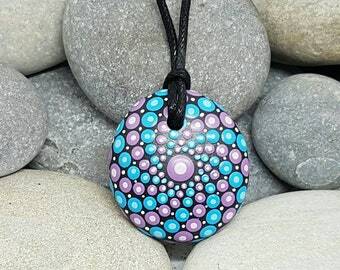 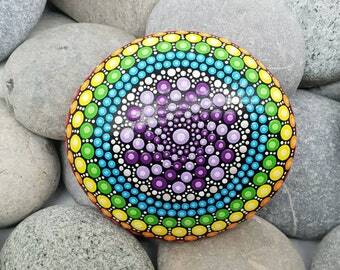 This painted rock is all black, with detailing in a rainbow mix of colours representing the chakra, finished with a lighter shade of each colour and white. 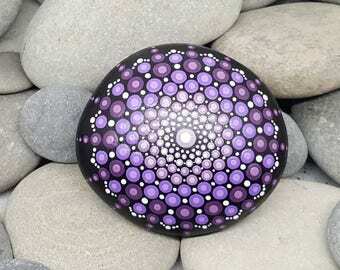 It is a beautiful piece of mandala art for anywhere!